What is good for the goose they say is equally good for the gander. 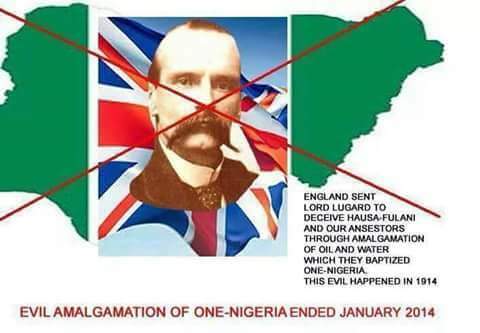 Following the popular British people’s vote exit to leave the European Union(EU) in the recently concluded referendum, it is only imperative that Nigeria recognizes the same in view to free millions of Biafrans all over the world yearning to separate them from Nigeria (Biaexit) in order to put to rest, the sufferings and humiliation of Biafrans and the hostilities in the Niger Delta region. This peaceful exercise has drawn a lot of lessons for Nigeria and her citizens in the sense that if not for any other thing, this referendum exercise was carried out peacefully without anyone been shot, killed, maimed, humiliated, arrested nor tortured, neither was anyone compelled to vote for or against. The leave EU campaigners’ human rights were not violated, they views and opinions was respected. They were allowed to canvass for what they believed freely without military clampdown nor met with persecution. Even when British Prime Minister David Cameron was against EU’s exit and didn’t want to hold a vote on Brexit at all. But in 2014, he faced growing pressure from the populist right over immigration and Britain’s EU membership. To mollify dissenters in his own party and stop the rise of the far-right UK Independence Party, Cameron promised to hold a referendum on leaving the EU if his Conservative Party won the 2015 election. The Conservatives surprised pollsters by winning an outright majority in Parliament, and Cameron kept his promise. Bus he wasn’t personally in favour of exiting the EU, and he campaigned vigorously for a “Remain” vote. At the same time, he allowed other members of his government to campaign on the other side. This created the spectacle of senior members of the UK government, from the same party, campaigning on opposite sides of one of the biggest issues in British politics in decades. Nevertheless, he respected the wishes of the leave voters and not long after Thursday’s results became clear, Cameron announced his resignation as British Prime Minister by October. He willingly and honourable opted to resign for a new leadership who will commence Britain’s negotiation for departure from the EU. The above scenario is what typical countries under genuine democratic rule and leadership should be. Today, Nigeria and her leaders has been urged to borrow a leaf from what happened in Britain and replicate same for the Biafran citizens yearning for their independence and exit from Nigeria. That Nigeria does not recognize these rights of self-determination which other democratic nations upholds, exposes the indolence and decay in the entrenchment of democratic principles in the country we find ourselves in. The Nigerian President Muhammadu Buhari shouldn’t be a hypocrite or feign ignorance of the growing agitation this past years of Biafra’s exit from Nigeria. He himself, has wittingly and unwittingly encouraged the rising wave of agitations for Biafra’s self-determination through his actions. Congratulating or extolling David Cameron’s decision to conduct the transparent referendum and his opting to resign, is not enough. He shouldn’t act or parade himself as an ‘angel’ outside and a ‘devil’ inside. He too should borrow a leaf from what has happened in the UK and accept the fact that Biafrans wants to regain their independence from Nigeria just like other free nations has done in the past. Maybe unknown to him, he has steadily and consistently worked in the favour of the re-emergence of the Biafran nation by haunting down pro-Biafran activists, killing and illegally detaining them, his utter disregard for court orders of competent jurisdiction. Buhari has vowed that he would crush any group with separatist tendencies, adding that Nigeria would never be allowed to disintegrate under his watch. But unknown to him, every propensity to resolve every problem with brute force is already working against the unity of Nigeria. His despotic attitude to issues and the misinformation he received from his incompetent Department of State Services (DSS) that deceived him into believing that incarcerating the leader of IPOB, Mr. Nnamdi Kanu, had propelled Buhari to quicken the restoration of Biafra. From his terrible public utterances to his divisive and sectional government policies, through his placement of only his kinsmen in his “Kitchen Cabinet” and other juicy and exalted positions, to the killing of Biafrans and Shiite Muslims, Buhari has worked tirelessly for the balkanization of Nigeria. His belief that every issue and simple political problems should be meted or confronted with weapons and brute force to solve it, and the continued illegal incarceration and unconstitutional prosecution of the leader of IPOB have worked maximally to the favour of Biafrans and is speedily bringing the project of the restoration of Biafra to fruition. He may continue following the odd and old ways, but the restoration of the sovereign state of Biafra and the dismemberment of Nigeria is assured. Finally, as I congratulate the British people for standing firm in the expression of their desires and beliefs amidst their leader’s opposing views, I wish to appeal to the incoming Prime Minister that it is only pertinent to extend the same gesture the Brits enjoyed today to the people of Biafra yearning for their independence from Nigeria. Am appealing to the yet-to-be elected British Prime Minister to use his good office to ensure that democracy and rights of citizens to self-determination as enshrined in the United Nation’s Charter which they uphold, is enforced in African countries particularly in Nigeria where this rights has been neglected and denied from her citizens(Biafrans), whom had sustained a massive campaign/protest for the recognition and exercise of their rights of free liberty to determine their nationhood, economic and sociopolitical future amidst hundreds of evidences of torture, illegal arrest and incarceration, killings and brutal condemnation by the Nigerian government under President Buhari.